Uber was forced to halt trials after a threat of legal action from California. 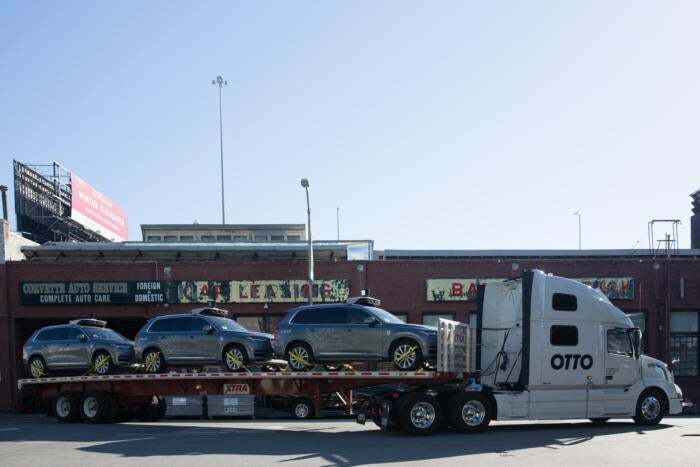 A day after it was forced to halt self-driving car testing in California, Uber loaded its cars onto trucks on Thursday and shipped them to neighboring Arizona, where testing will continue with the support of that state. 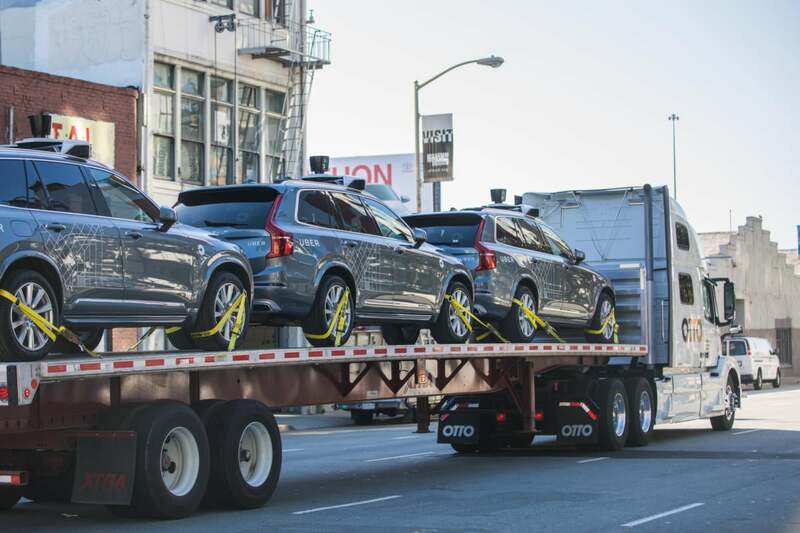 The cars were loaded onto trucks built by Otto, an Uber subsidiary developing self-driving trucks, and left San Francisco in the morning, Uber said in a statement. Uber also released a series images to journalists of the cars on trucks leaving the city—a very public rebuke to its home city and state. 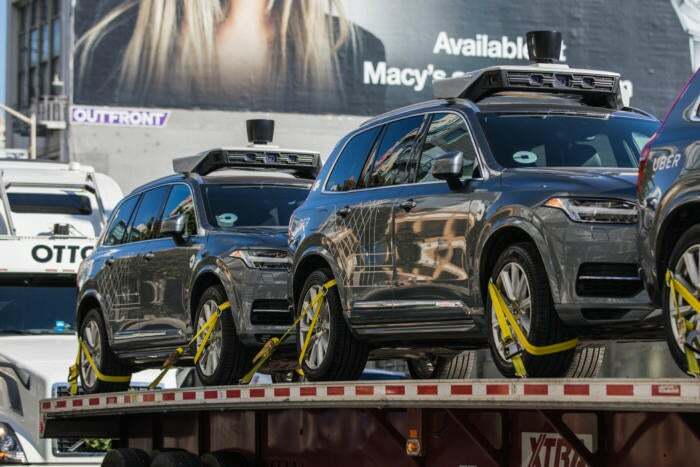 Uber self-driving cars are loaded onto trucks to be shipped to Arizona on December 22, 2016, as the company was forced to curtail testing in San Francisco. The cars had been on San Francisco streets for just a week when they were forced to the curb. Since launching the self-driving trials last week, Uber has been in dispute with the state’s Department of Motor Vehicles. The DMV says Uber needs an autonomous car license to test the cars, but Uber contends the cars are little different from Tesla cars with advanced lane-keeping technology. At the end of last week, the state threatened legal action against Uber if it didn’t remove its cars from public streets. On Wednesday, Uber was forced to end the service with the DMV withdrew the registrations for the cars. The images distributed by Uber on Thursday were notable in not showing the license plate area of the vehicles. Arizona Governor Doug Ducey used Uber’s decision to take a dig at California. The California regulations Ducey refers to are hardly onerous, and licenses are cheap, but they do require companies submit an incident report each time a self-driving car is involved in an accident. The reports are published online and they sometimes generate negative publicity for the car developer. That’s perhaps something Uber wanted to avoid. California’s DMV said Uber has said it is interested in applying for a license to restart testing in the state.